Cindy and Craig Corrie, seen earlier this month in Jerusalem, are suing the Israeli Defense Forces to get a full accounting of their daughter's death. 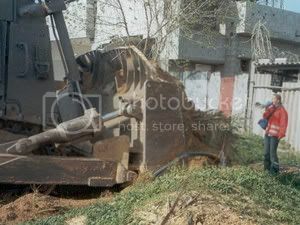 Rachel Corrie was crushed by a bulldozer as she tried to stop it from demolishing a Palestinian home in 2003. Cindy Corrie says she'd given little thought to the Palestinian-Israeli conflict until her daughter Rachel became immersed in it. 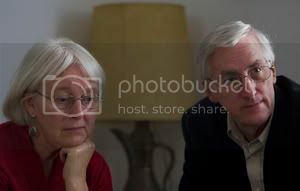 "She'd check out documentary films from the college library, and we watched them together," she says. "She'd send me books about the situation in Gaza. My really deeper education into this began with her." But it wasn't until Rachel was killed in 2003 that Corrie and her husband, Craig, were catapulted out of their comfortable lives in Olympia, Wash., and into their unlikely roles as activist icons. Rachel came to Israel seven years ago, drawn by what she saw as injustices faced by Palestinians. She was killed by a bulldozer manned by Israeli soldiers as she tried to prevent the demolition of a Palestinian home in the Gaza Strip. Now her parents are suing the Israeli Defense Forces to get a full accounting of her death. "When Rachel was killed, it was overwhelming," says Craig Corrie, who took a six-month leave of absence from his job after Rachel's death. "At the end of six months, oddly enough, I was in Gaza instead of back at my office." The Corries were looking for answers they say they have yet to get. The internal military investigation at the time ruled that Rachel's death was an accident, that she had been partially hidden by a mound of dirt, so those driving the bulldozer couldn't see her. No one was charged. Rachel Corrie, 23, stands in front of a Palestinian's home to prevent it from being demolished by an Israeli bulldozer on March 16, 2003. Corrie was killed when a bulldozer ran over her. The Corrie family says the investigation was flawed. The U.S. State Department says many questions were left unanswered. "We tried all these other means, but at the end of the day, the only thing we can do and we can control is a civil lawsuit in Israeli courts," Craig Corrie says. "So when you look at all of the Palestinians who have been killed or injured by the Israeli military, who don't have that opportunity, then I guess we have the obligation to bring it forward." Their lawsuit seeks symbolic damages of $1. "I'd say with every witness there are surprises and bits of information or confirmation of things that we haven't had in this way before," Cindy Corrie says. "So to me, while we can't be at all sure what the outcome will be, I think the process has been very, very important to me personally." Assuaging their grief as parents is part of the reason they are here, they say. But they have also come to care deeply about Rachel's cause. "We've come here because of Rachel and to seek some accountability in her case," Cindy Corrie says. "But we are also very much aware of all of the cases that are not fully investigated here and that are never prosecuted in any way here, so I do feel like that is part of the reason why we're here as well." "You have to search for justice," Craig Corrie adds. "A lot of activists will say without justice there's no peace. No matter what happens in court, we will have at least done our part to bring this forward, done our part to bring it in front of the world." The family has spent tens of thousands of dollars of their own money and given up pretty much everything else in their lives to pursue that goal. "It is a sacrifice both emotionally and financially to do this," Craig Corrie says, noting the cost of flying back and forth from the U.S. to Israel and the accommodation costs. In addition, the court proceedings are in Hebrew, he says, estimating that they've spent about $50,000 on translators. Whatever the result of the trial, they say, they won't stop fighting for Rachel and what she stood for. "I can't describe exactly what the form of it will take, but I know we are learning things that we'll be able to utilize as we move forward," Cindy Corrie says. obomba took some time out to make anti bullying message. how 'bout telling the biggest bully on earth to knock it off for good?? He wouldn't. he works for 'em. bomb-o's a screw who works for corrupt regime LLC, watching over the inmates while they abuse defenseless, wrongly imprisoned people.